In an era in which the old story of journalism is dying and a story is being born, we wish to make visible compelling images of the emerging news and information ecosystem in order to amplify and extend the good work that is already happening. New technology and new business economics are changing the practice of journalism. No one is systematically identifying innovative journalistic practices so that we ensure the durability and sustainability of communities or participatory democracy. Through The Illuminations Project, JTM will profile successes in journalism innovation through our account on Twitter @jtmstream and our new blog What’s Working in Journalism Today. We hope that you will join in the conversation, and we invite you to highlight examples you see with the hashtag #wwjtm and to share stories about your own projects and collectively we hope to develop a better understanding of what’s necessary to be successful and sustainable in journalism today. Human systems thrive when we have an image of a desirable future. Such images inspire us to move towards what we wish to create (Cooperrider, 2000). 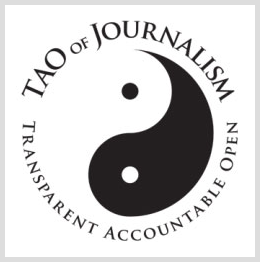 By making exemplars of new forms of journalism visible, we contribute to clarifying the role and forms of journalism that meet today’s needs and accelerate movement towards a reconceptualization of news and information that serves civic society. Supported by a grant from the Mott Foundation, see the full proposal.